While on my journey towards good health, I came across a book called The Seven Pillars of Health by Dr. Colbert. It impacted me greatly and I now highly recommend it to many people I meet. 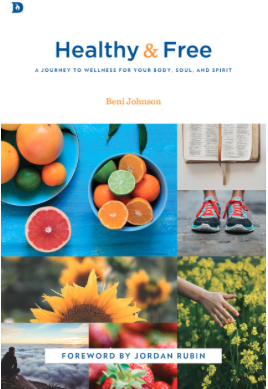 In this book he talks about “health pillars,” or tools that when applied, help keep us on the right path to a healthy lifestyle. Focusing on creating a lifestyle is key. This is not about another diet, but tools that we can incorporate into our lives for us, as well as our families, to be able to live a healthy life. In this article I want to talk about the first tool to health. If you were to ask me what the most important health tool is, I would tell you, water. Water is life. It has been said that you can go days without food but just a few days without water. Water is absolutely vital for health. I once had a friend came to me seeking advice for her mother. Her mother was sick and although she had gone to the doctor, the doctors told her there was nothing wrong with her. I asked my friend if her mother drank water. When she told me, “no” I told her to have her mother drink water for 2 weeks and then get back to me. After 2 weeks my friend told me that her mother was completely fine. Sometimes the problem with our health is that we just aren’t drinking enough water. So, how much water do we need to drink to be healthy? Well, the rule of thumb is take your body weight (in pounds) and divide it in half. The number that comes out to is the number of ounces you should be drinking a day. For example, if you weigh 130 lbs., half of that would be 65 oz. If you are an athlete then you need to drink more to replace what you lost through sweat. Why is water so important? Well, our bodies are made up of 50 – 75% water! The way we keep our bodies hydrated is by drinking water or eating foods that are high in water content. It has been said that if you feel thirsty then your body has already started the dehydration process. Water has often been called the “Fountain of Youth” because without it, nothing is able to survive. Every cell, organ, muscle, and bone thrives on good clean water. In fact, drinking water is one of the best anti-aging regimens. It’s the best way to prevent wrinkles, and it’s also a lot easier on your bank account than any wrinkle serum you might purchase at a department store! Water is also our body’s main source of energy, sometimes known as the “cash flow” of the body, believed help the body generate electric and magnetic energy inside each cell. Water helps prevent DNA damage and makes the body’s repair mechanisms more efficient. It also increases the efficiency of the immune system in the bone marrow (where the immune system is formed), and assists its effort to fight cancer. Water aids in the digestive process and helps the body convert food into energy. Water is also the most effective lubricating laxative and helps prevent constipation. It also serves as a great pick-me-up. If you experience an afternoon slump, and are in the habit of grabbing a coffee or a sugary soda, instead pour yourself a tall glass of water, and allow your body to use its favorite source of energy! Women should know that water also helps decrease premenstrual pain and hot flashes. These are just a few examples of how water helps to heal and restore your body. To see more reasons to drink more water, I suggest reading You’re not Sick, You’re Thirsty. What kind of water do we need to drink? Should we drink just water from an alkaline water machine? Should we drink tap water? For me the important part of drinking water is that we keep our bodies alkalized. When you body is at a PH 7.0 it will be alkalized and not acidic. Having an acidic body will attract disease and an alkalized body will keep your body healthy. So, whether you use an alkalized water filter for your home, drink spring water, bottled water, or use a table top filter pitcher the point I want to make on this topic is that you just drink water. A little tip that I use each morning to start my body alkalizing is put a half squeezed lemon in 8 ozs. of warm water. You will find this very helpful for your digestive system and you can drink this throughout the day too. Remember, if you are feeling like your body is out of sorts, check the amount of water you are drinking. It just might be that you need more water in your life.